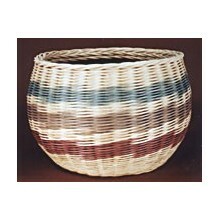 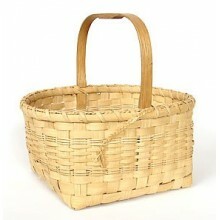 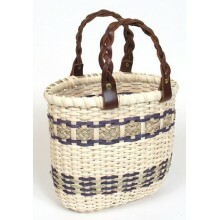 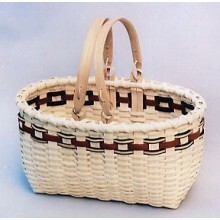 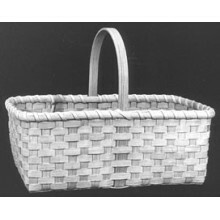 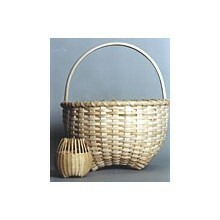 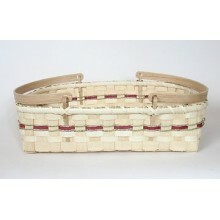 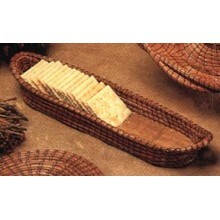 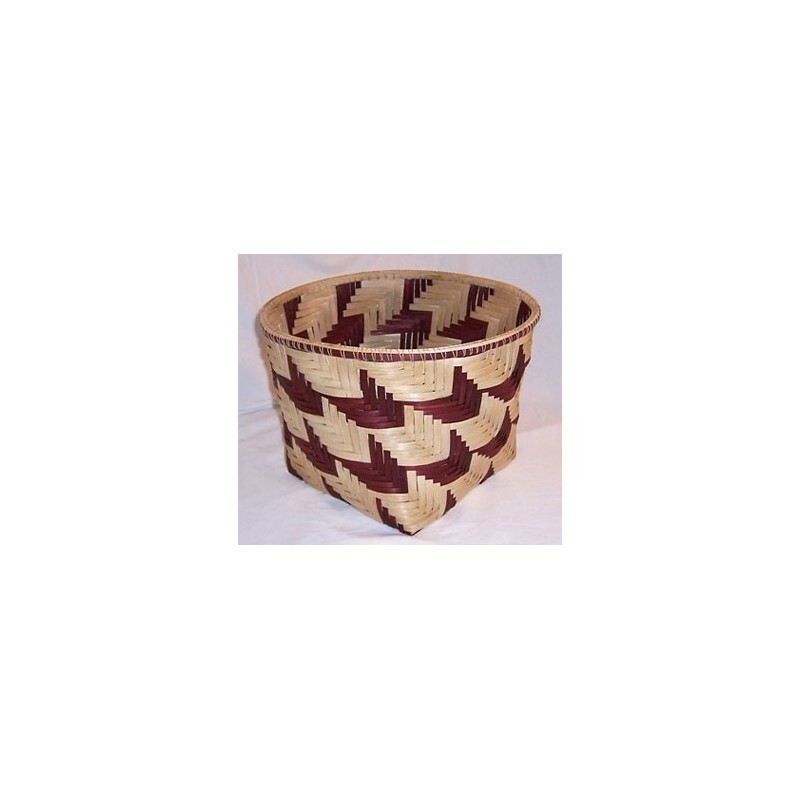 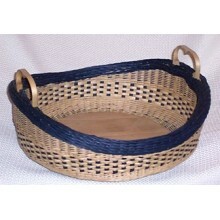 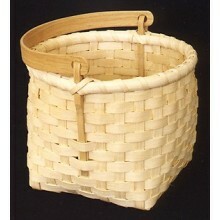 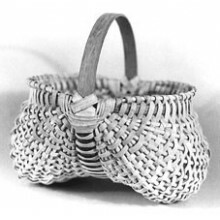 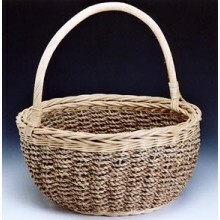 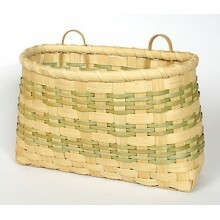 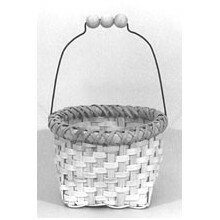 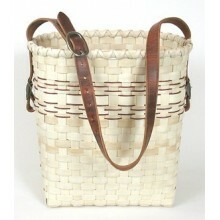 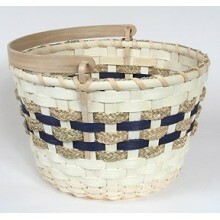 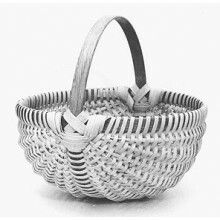 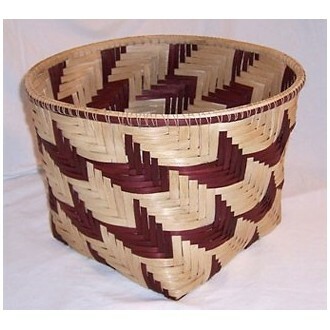 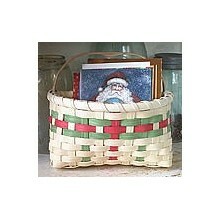 A wonderful 2 tone design (natural and dyed reed) with arrow points woven throughout the basket, thus the name. 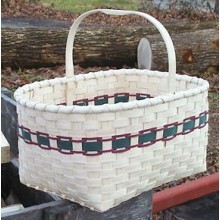 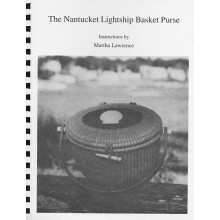 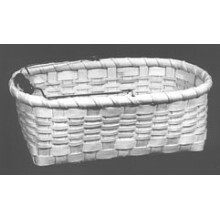 The entire basket, base and sides, is woven in five/five twill working two sizes (7mm and 3/8") and two colors of stakes and weavers. 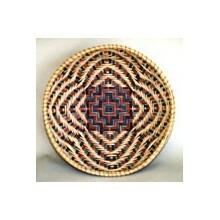 Finished size is 12" diameter. 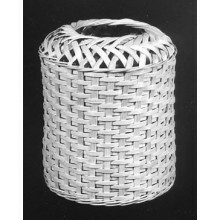 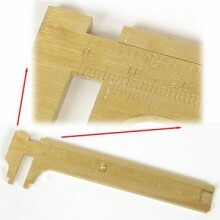 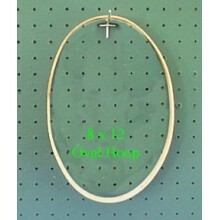 Unique rim finish is lashed with waxed linen thread. 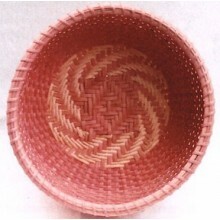 Intermediate level pattern by Annetta Kraayeveld. 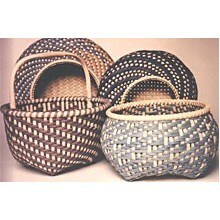 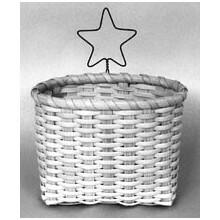 Calculate Supplies for this pattern with the Basket Supply Calculator. 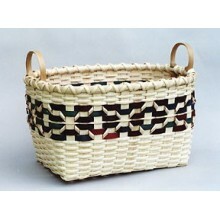 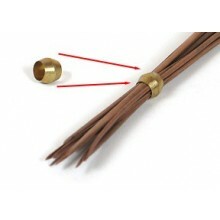 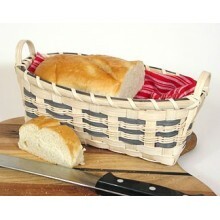 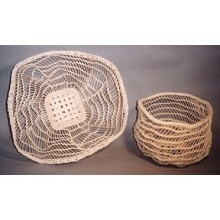 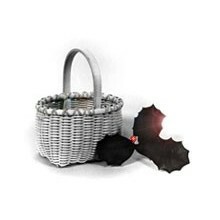 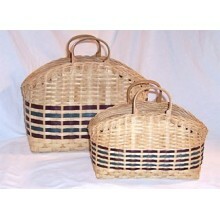 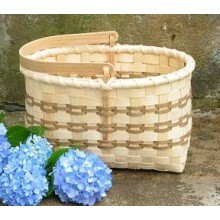 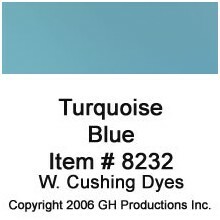 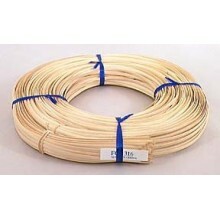 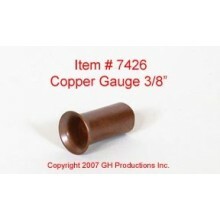 The Supply List gives you the least expensive way to purchase the supplies for your quantity of baskets. 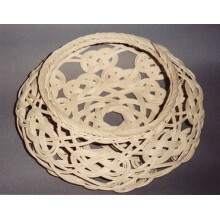 View on-line or print to your printer.